On the following page you will find more information on how to implement tampering detection in C# using the Ozeki Camera SDK. In order to make this example work, OZEKI Camera SDK has to be installed and a reference to OzekiSDK.dll has to be added to your Visual Studio project. 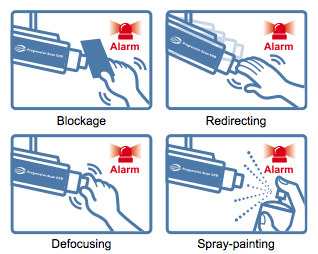 With tampering detection, the camera is capable of detecting incidents such as redirection, blocking or defocusing, or even spray paint. Camera tampering detection is a new intelligent function, that can be an effective help if you wish obtain the security of your own business or even home. If you implement this application in C# with the Ozeki Camera SDK the event will trigger in the case of any changes detected by the tampering detection application. If you have a camera on the outside wall of your business place, you can detect the changes easily. 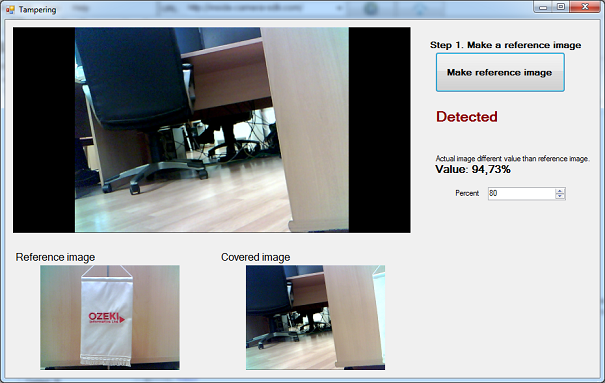 For example if the camera was sprayed or blocked, this appliction would detect immediately and warns you. Therefore the tampering detection application can be an effective help in defending your property. This function can easily detect if somebody redirect the camera or defocus it. After reading through this webpage you can find all the information about how to accomplish tampering detection successfully in C# using the Ozeki Camera SDK. You will find examples and implementation for tampering in the case of any changes detected by the tampering detection application.